The last picture Munroe took with other victims before the plane departed. 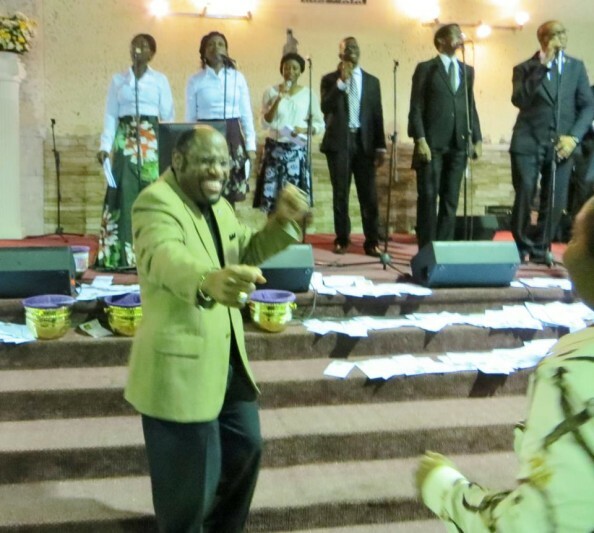 The leader of Bahamas Faith Ministries, Myles Munroe, and his wife, Ruth, were among nine killed Sunday after the plane they were flying in crashed in the Bahamas. Their plane hit a construction crane in a shipyard as it approached the Grand Bahama International Airport. It exploded and crashed immediately, according to officials in Bahamas. The Lear 36 Executive Jet had departed from Nassau, the capital city of Bahamas. “It crashed about 5 p.m. local time – 11 p.m. Nigerian time – Sunday while attempting to land at Grand Bahama International Airport,” The Associated Press quoted a Transport Ministry statement as saying. The BFMI website describes Mr. Munroe was a “lecturer, teacher, life coach, government consultant, and leadership mentor.” Munroe was also president of Myles Munroe International (MMI). According to the Bahamas Tribune, the plane crashed as people were gathering in Grand Bahama for the Global Leadership Forum — an event organized by Munroe. The Global Leadership Forum will continue, however, a Facebook post by the on Munroe’s ministry Facebook page said. “On behalf of Myles Munroe International and ITWLA. We would like to inform you that the Global Leadership Forum will continue. The Forum will be for two and a half days (Monday, Tuesday and Wednesday morning). This is what Dr. Munroe would have wanted. Please keep his family and the ministry in prayers,” the post read. Mr. Munroe was last in Nigeria in February.